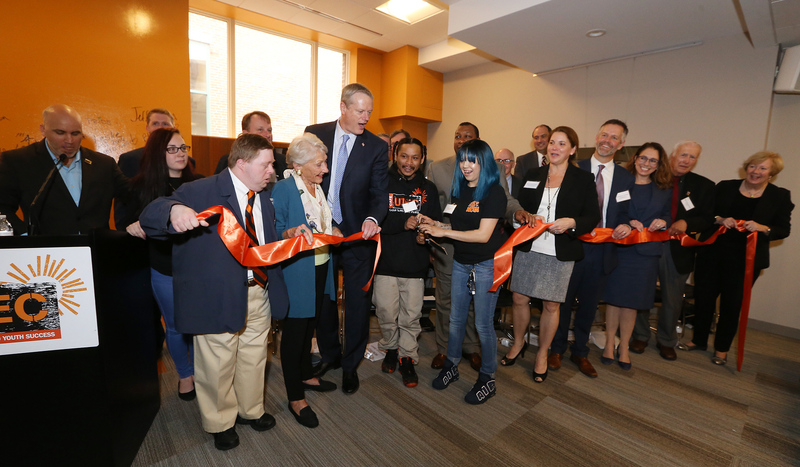 UTEC hosted hundreds of people for a celebratory, energetic ribbon cutting of their new facility named Nancy L. and Richard K. Donahue Hub for Social Innovation. The ribbon cutting featured tours of the building, a DJ and, in place of a red carpet, an orange one- the organization’s main color- made from UTEC recycled mattresses. The building located on 17 Warren St., was purchased by UTEC about two years ago from the Lowell Community Health Center. Public and private sources particularly the Donahues for which it is named, contributed a total of about $2.5 million to fund its renovation. The center hosts several features, professional childcare is available for UTEC families free of charge. The third floor will hold various programs and activities, while the bottom floor is a large industrial kitchen that will host not only UTEC work but various community groups as well. The kitchen in the bottom floor has space for several different simultaneous activities. One corner holds equipment for UTEC Cafe workers to make homemade nut butter, which will soon be available for sale. 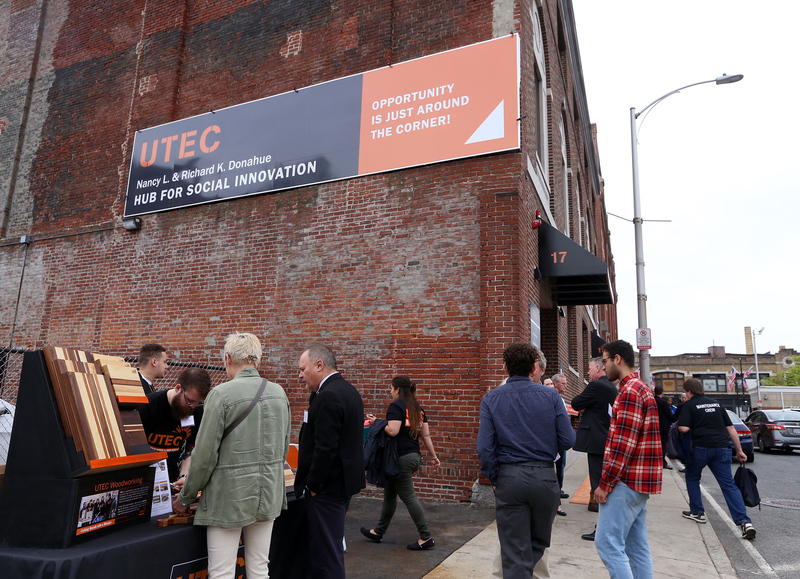 Other areas can be booked for use by startups, budding entrepreneurs, schools and nonprofits.Once tours concluded Thursday, the several hundred attendees gathered in the new center’s third floor to hear remarks by local leaders, UTEC participants and members of Gov. Charlie Baker’s administration. To read more on UTEC and its new facility the Nancy L. and Richard K. Donahue Hub for Social Innovation click here.